If you’re looking to hire highly-skilled roofing contractors, call Legends Roofing in Dallas, TX! We’re a local residential and commercial roofing company that takes care of everything from minor roof repairs to full roof installation. Our goal is to supply home and business owners with the resources they need to create the home and business they’ve always wanted. Legends Roofing offers innovative solutions to common residential and commercial roofing problems throughout the area. Speak to a contractor at Legends Roofing today about your residential and commercial roofing needs. Are you experiencing roof leakages? Is your roof starting to age? Looking to remodel your home’s exterior? Call Legends Roofing today to find out why so many people in Dallas, TX and surrounding areas have chosen us as their number one roofing authority. We’ll replace and repair all failing parts of your roofing system and put you on the right track to a better roof today. If your home is suffering from age, broken shingles or you’re in desperate need of a roof replacement, don’t hesitate to call us today for all your roofing needs. As a comprehensive roofing company, you can call Legends Roofing for metal and tile roof replacements, regular roof maintenance, gutter installation and more. 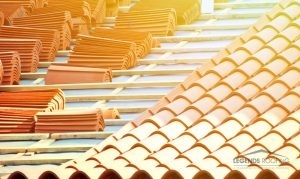 We work to serve the roofing customers in the DFW area with excellent roofing technique. Our Legends Roofing Contractors use the best tools and hire only full-time professionals to work on our team. Because our team has over 15 years of experience, we know we can offer you the best advice and highest-quality roof work in the area. Updated on August 4, 2017 at 1:58 pm by Legends Roofing.